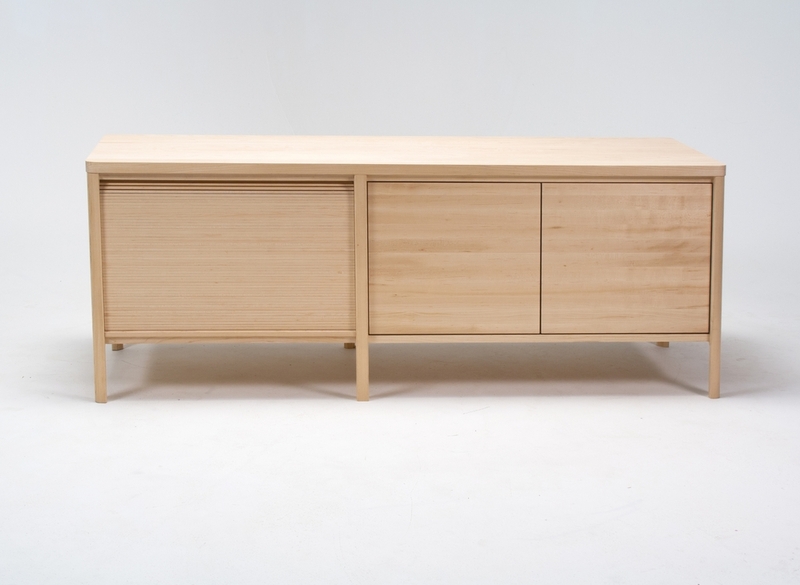 The Reed Cabinet is an exploration in the visual textural properties of quarter-sawn maple. 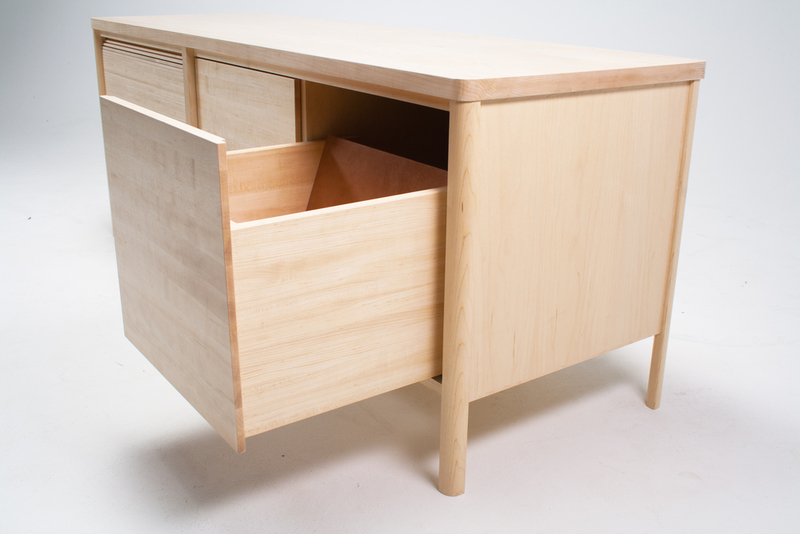 It is specially designed for the storage of a stereo system and a small collection of LP's. 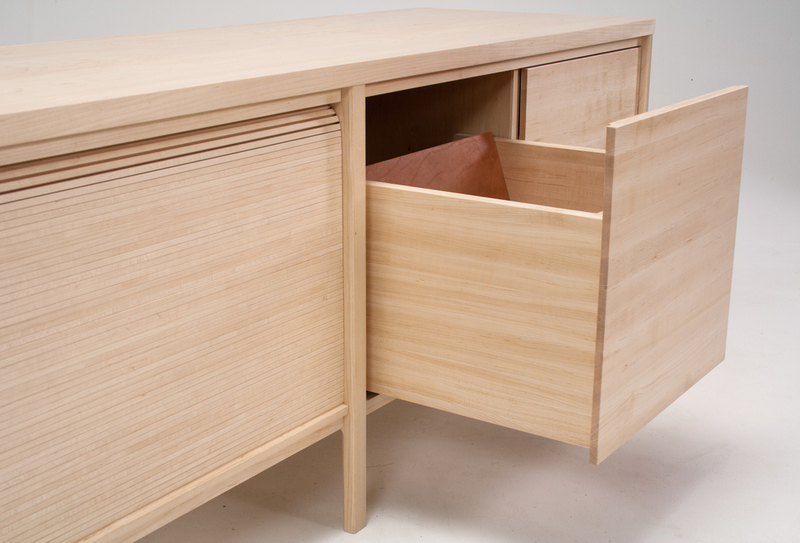 The tambour door opens to reveal a space for multiple stereo components, and the back of the compartment has a portal for the passage of cables. The two drawers, lined with vegetable-tanned leather are each big enough to accommodate 70 records. 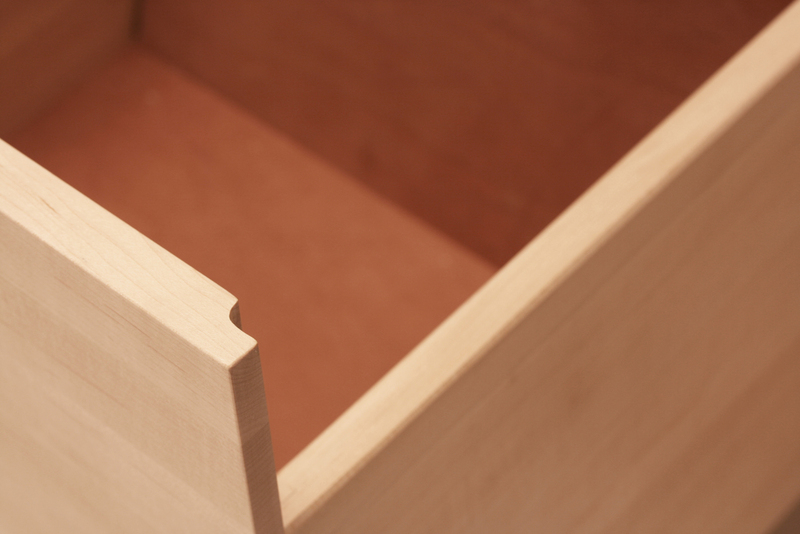 When closed, the cabinet acts as a minimal plinth for a turntable.